At the NAWT open day they asked me to walk a new intake dog. 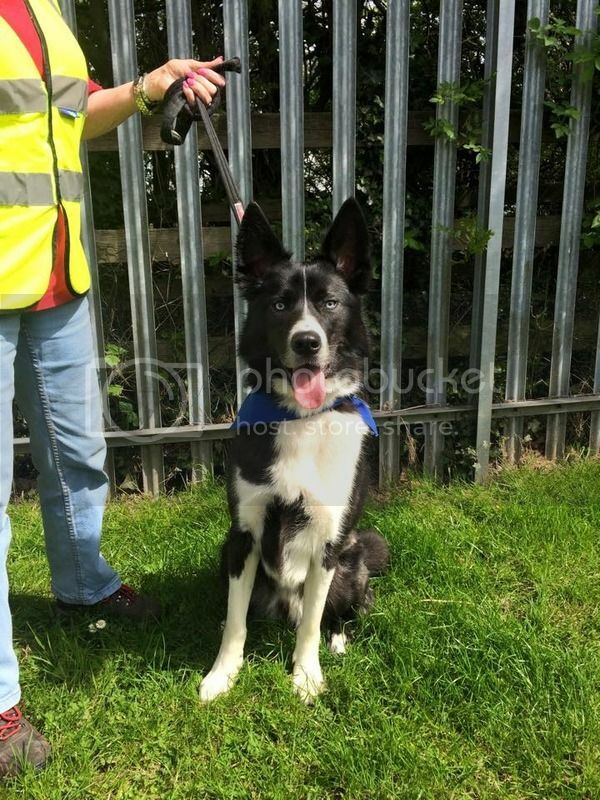 They say he is a Husky x Collie. 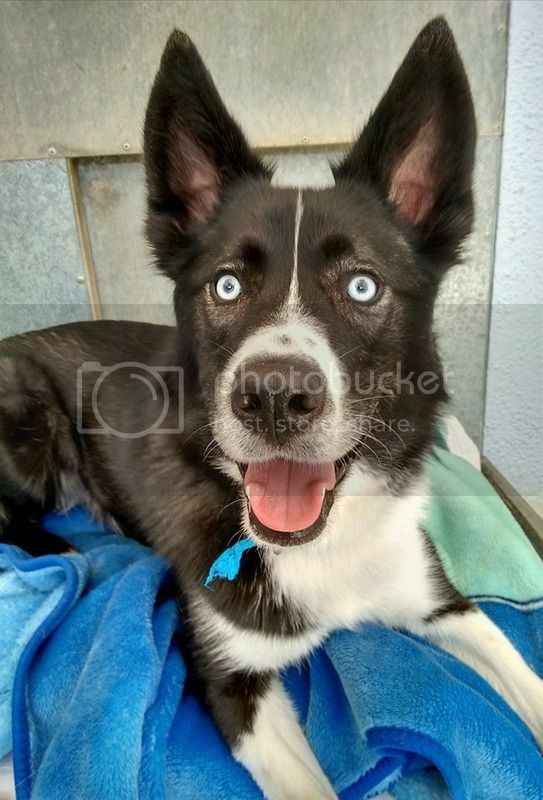 I personally think he is Husky x Akita. But he is stunning with almost white eyes. A beautiful dog. He was spooked by everything including the tannoy which sent him loopy. They gave me 7 days with him. Well he was an absolute star today, walking around the parade ring. Still a little unsure, but not showing it to those who don't know him. I was so proud of him, he is willing to work and enjoys it, but a little worried about men. He is a stunner, Wendy. Love to see your doggy pics, Wendy, and a good result for the fundraising. A gorgeous boy who will do wonderfully well with your doggy skills and the patience that you must have by the bucketful. As a dog lover myself, I can't express enough how much I admire what you do for the dogs that come to you. You seem to have that special understanding of them that they seem to sense. Well done Wendy for giving them the chance of a loving home. Milo today, showing his stunning eyes. I no longer have him to work with, as I got him over his little problem. I love seeing him with the others and seeing how good he is. Will you carry on working with him? No. He was very spooked when I got him. But he is a great deal better and it is mainly with men. So the guys there are working with him. So I won't have him. I am still spending half and hour with Valentina, just sitting and spending time with her. I also have Missy. Who has improved this week considerably. In fact I haven't had any trouble with her for a week. Well you can't adopt them all yourself, even if you wanted to.